Following graduation from Colorado State University was an extensive internship at a youth counseling and rehabilitation facility. She is also a member of the Criminal Defense Investigations Training Council. 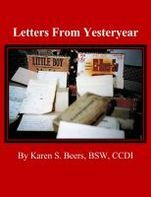 Karen has been professionally published with 'The Basics of an Autopsy Report' (PI Magazine, Dec 2011) and 'Understanding Suicide and its Prevention – Equivocal Death Investigations' (PursuitMag.com, Dec 2011 and CALI Dec 2012), 'Understanding Post Traumatic Stress Disorder' (CALI, Dec 2012), and ‘False Confessions and Accusations’ (PursuitMag.com, Feb 2012). With Dean she co-developed 'Death Investigation for Private Investigators', an online continuing education course for www.PIEducation.com. She also assisted with Dean's revised book, 'Professional Investigations: Individual Locates, Backgrounds and Assets & Liabilities'. 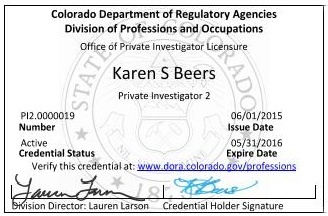 Karen is a member of the Professional Private Investigators Association of Colorado, National Association of Legal Investigators, Criminal Defense Investigation Training Council and National Defender Investigator Association and the Inner Circle of Investigators. 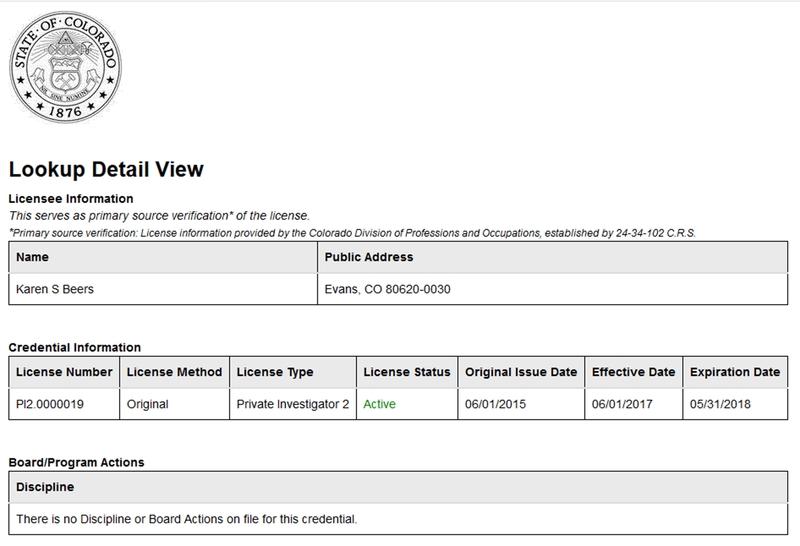 She is also the Administrative Manager for the World Association of Detectives (09/2015 to Present). 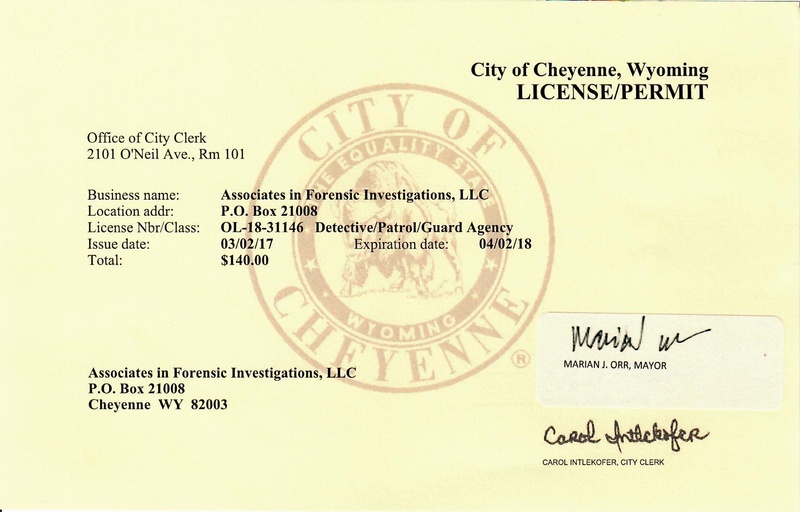 "Equivocal Death Investigations/Analysis. Sometimes the death of a loved one leaves behind many unanswered questions. 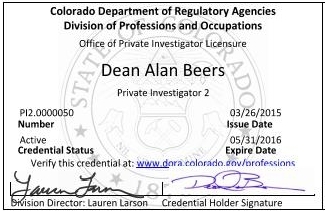 Helping clients understand the investigative process, answer questions to help ease their minds are the main goals of a death analysis. Due to the prevalence of Equivocal Death Analysis, we now offer a flat-fee to further help families in their time of need. Helping clients with lingering issues surrounding a loved ones death is difficult yet necessary to assist in resolving issues that can sometimes take years. Hearing the words, "Thank you, you have helped me to understand" whatever questions they may have had tucked inside their minds is very rewarding."